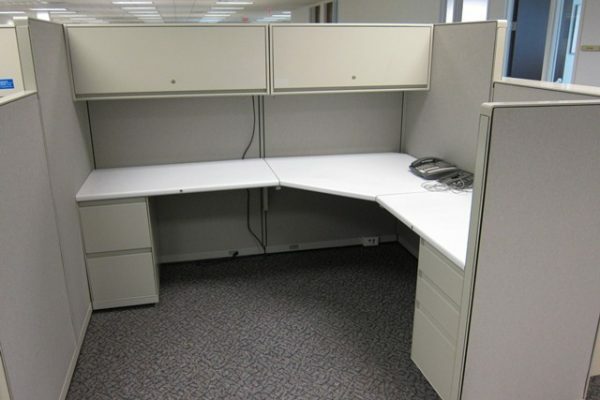 QTY 75 Steelcase 9000 cubicles. Each cubicle comes with one over head storage bin and two box box files. These are drop down stations which means the spine of the cubicle is tall and it drops down on the wing walls.